The film is nearly nineteen minutes long, and consists of a series of short clips demonstrating popular social dances from 1915. I am unable to definitively parse the descriptive text as I do not read Swedish. Google translator tells me, however, that, according to the Library, the clip shows “ballroom dances,” including the one-step, “open step”, tango and fox trot. Although unlisted, the dancers also appear to perform a maxixe, and a hesitation waltz. 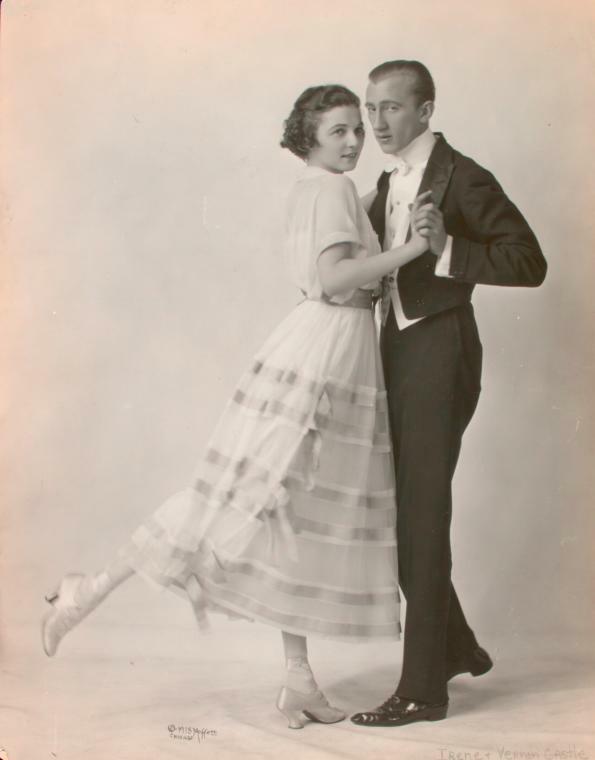 Oscar Tropp’s Wikipedia page states that he choreographed and performed in a short film called the “Two Step.” Wikipedia states that the film was produced in 1910, and co-stars Swedish dancer Lisa Holm. If you have access to this clip, please private message me – I would love to see it. I encourage you to watch the video in its entirety. There are few surviving dance films from the Ragtime era. This one is particularly complete. I’ve included some representative screen grabs from the production, below. As no title cards were provided to definitively label each dance, I have made my best guess as to the dances being demonstrated. These are only a few of the dances represented in this short film.